Team 696, the Circuit Breakers, is a FIRST Robotics team based at Clark Magnet High School in La Crescenta, California. 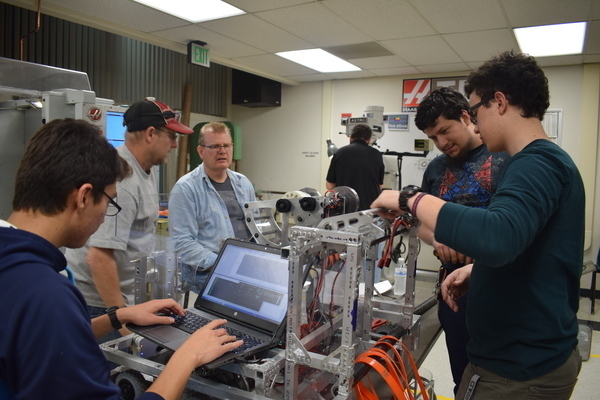 Students of Team 696 gain real-world experience in engineering, programming, and multimedia fields through challenges brought on by the FIRST Robotics Competition. Our team aims to create the next generation of leaders in science and technology — a feat not possible without the support of our mentors, community, and sponsors. Every student in Team 696 specializes in an area that they wish to hone their skills in. Through diligence, teamwork, and dedication, team members are able to overcome any challenge they may face. Team 696’s goal of enriching students in STEM curriculum could not be possible without the help of mentors. These mentors dedicate time and energy to help engage students in their respective fields of expertise. The unparalleled enrichment opportunities provided by Team 696 would not be possible without the gracious contributions of our sponsors. Each and every contribution made to the team allows us to enrich even more students. Pyrite is powerful. beautiful. robust. stunning. Innovating since 2001, and we&apos;re still going strong. 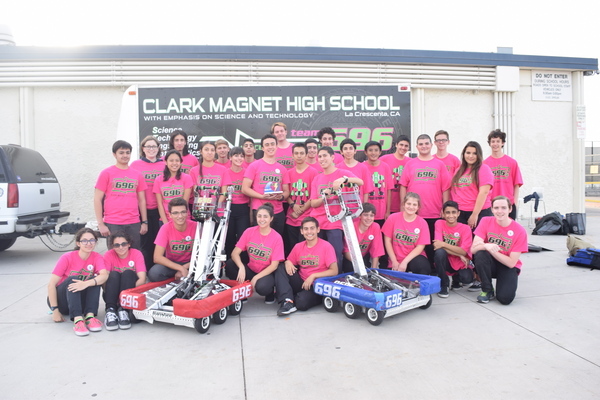 Since its founding in 2001, Team 696 of Clark Magnet High has aimed to create the next generation of leaders in science, technology, engineering, and mathematics (STEM) fields. through local community outreach and participation in the international FIRST Robotics Competition (FRC). 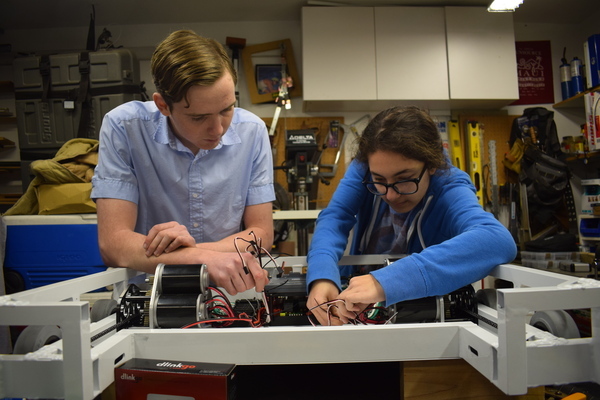 Each year, our team has only six weeks to design, manufacture, and program a fully-functional robot for that year’s FRC game. Our rationale is that through a method of guided discovery, each student can refine his or her skills in a specific sub-group of the team, developing practical applications of STEM concepts outside the ordinary classroom environment. Team 696 also takes pride in giving back to the community. Throughout the year, our students become mentors themselves, coaching several Lego robotics teams throughout our district. Ultimately, the knowledge and experience gained through the team is more important than any competition. Any student who joins FIRST Robotics Team 696, regardless of his or her skill sets, will leave with an enlightened perspective on teamwork, engineering, and countless other disciplines. Throughout their FIRST Robotics experience, members of Team 696 become scientists, engineers, managers, and friends. See our Chairman&apos;s Award Video. Click anywhere outside of the modal to close.